'No one can be just like me anyway'. 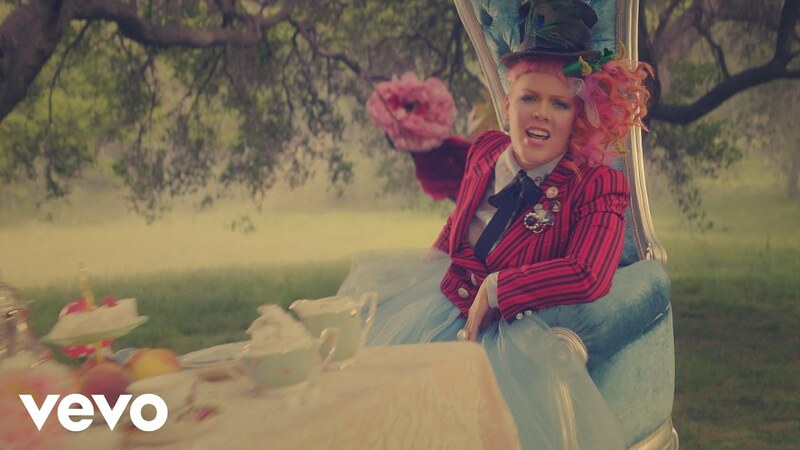 We've missed P!NK, we should all sign a petition to make sure that she brings out music more often! Her latest single comes from the upcoming soundtrack from the blockbuster movie 'Alice Through The Looking Glass'. The single debuted on the Vodafone Big Top 40 on the 17th April 2016 just two days after being made available to download. The track was produced by the same team who brought us P!NK classics 'Raise Your Glass' and 'So What?'. The pop stalwart has also he covered Jefferson Airplane classic "White Rabbit" for the movie too! The star added "It's one of the more exciting things I've done in my life' when appearing in a promotional video for the movie.